None of these were made known to us until we were checking out and trying to pay. Of course, the person in charge was not there and the employee claimed he didn’t know the terms of negotiation. We conceeded in paying for Nilan’s lodging but absolutely refused to pay the additional taxes charged. Not cool, really. This was the only time we had had to pay much more than what was agreed for our accommodations, and this place was already more expensive than the other places that we’ve stayed so far. It did mar our opinion of Galle a little, to encounter such dishonesty in the dealings of its hotelier. Anyway. Back to the carefree, ignorant moments. Still eventful though. First, while we were having our late lunch, it started to pour. It was kinda tricky to explore the fort city in the heavy rain after that. With the wind and the weight of each rain drop, a thorough soaking would be the only conclusion should we undertook such endeavour. Instead, we went back to the hotel (semi-soaked), and praying it would stop came early evening. You see, we were supposed to be picked up by Nilan to head out to Unawatuna. 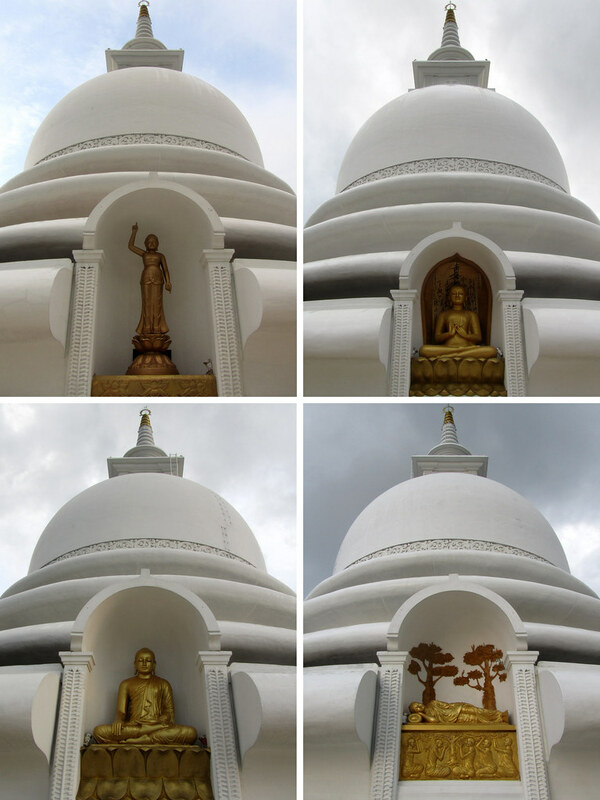 More specifically, we were going to visit the Japanese Peace Pagoda atop of Rumassala and experience sunset over Galle. However, the president of Sri Lanka was visiting, and as a result, all roads were closed to traffic and poor Nilan couldn’t get his van over to meet us, nor got out of the fort. 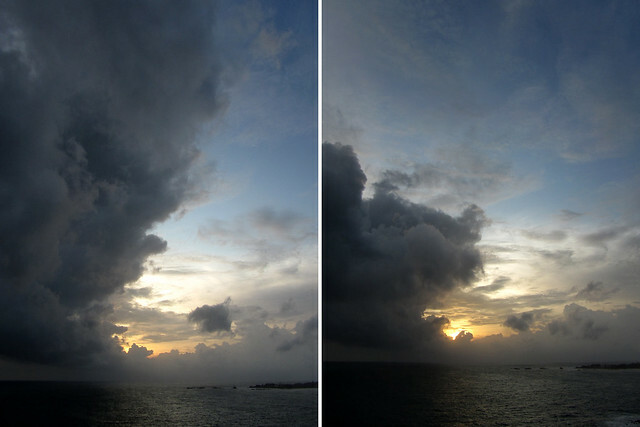 Meanwhile, we were fretting about missing the sunset. Eventually the roads were re-opened and we literally raced our way over. We just about made it to catch the tail end of the sunset. It was nice and peaceful up here, and we felt it has been a place that not many tourists have found their way over yet. True moment of zen. 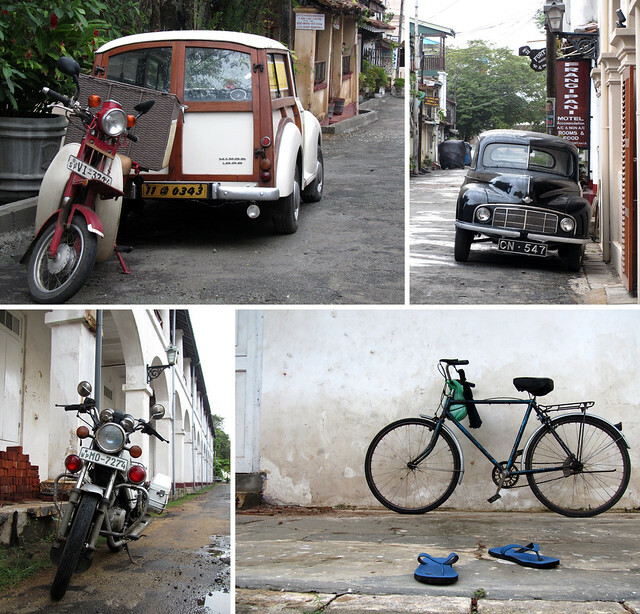 My true chance of exploring Galle Fort was the next morning for a couple of hours, before we leave for Colombo. I got up earlier than usual and set out for my walkabout. The old city is not too big therefore it was realistc to take a turn around within the time frame set. Each time I saw something remotely interesting (to me), I stopped and photographed the object/moment. 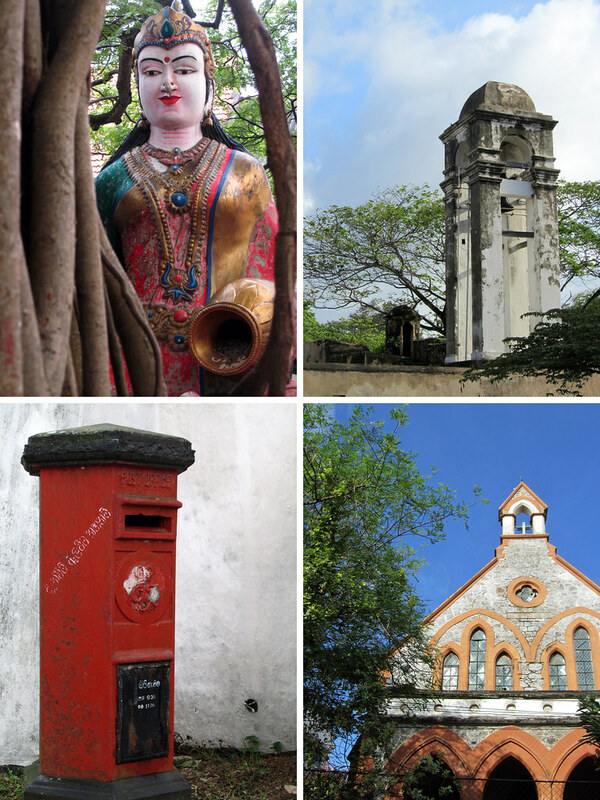 For an island where we have predominantly observed the practice of Buddhism, and occasionally Hinduism and Christianity, Galle is a truly multi-religion city. Within the walls of the old Dutch fort, houses of worship of different religious denominations can be found close to one another. 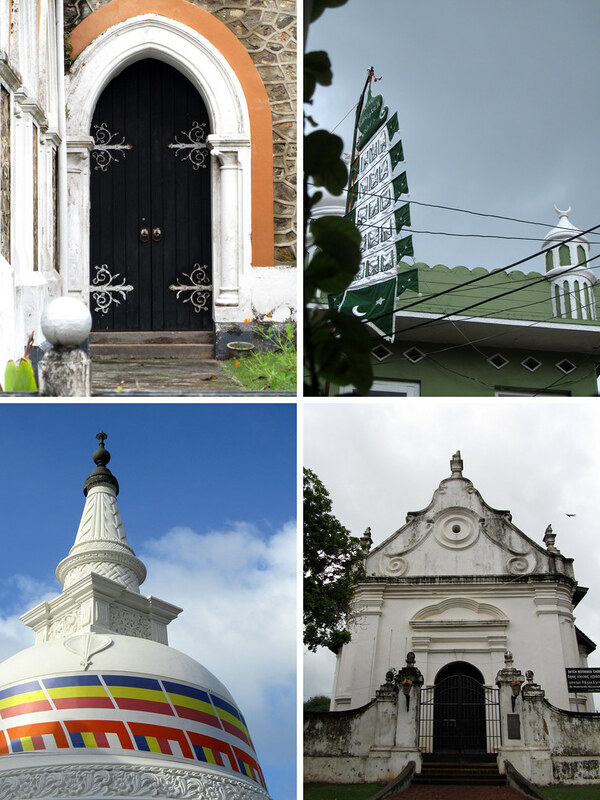 I also found out that there is a large population of Moors living in Galle, most of them within the fort, who are descendents of Arab merchants who have made the ancient port their home from the trading days. Most parts of the fort city would have been built a while back and it shows. I was thoroughly fascinated when I read signages indicating functions of several decrepit buildings, including the court house and police stations. Should these signs been missing, I would have easily assumed them to be abandoned buildings. Perhaps if I had been around later in the day, when it may have been busier, my perception would have changed. However, at seven in the morning without nary a soul on most streets and corners, it felt more like a ghost town. 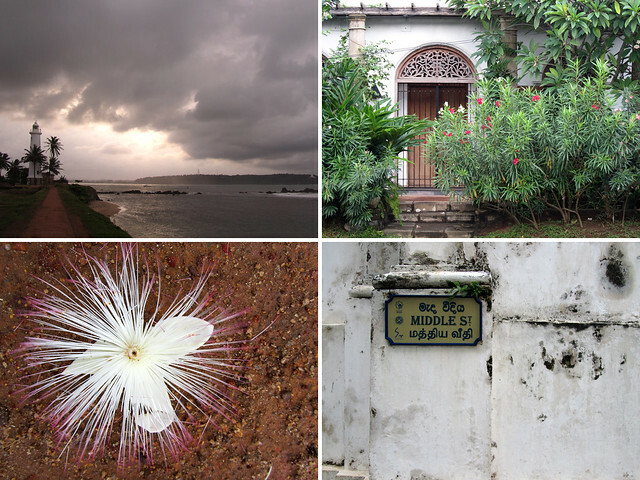 There were much unmistakeable charm to Galle, but there was also a sense of hollowness to it that I could not explain. 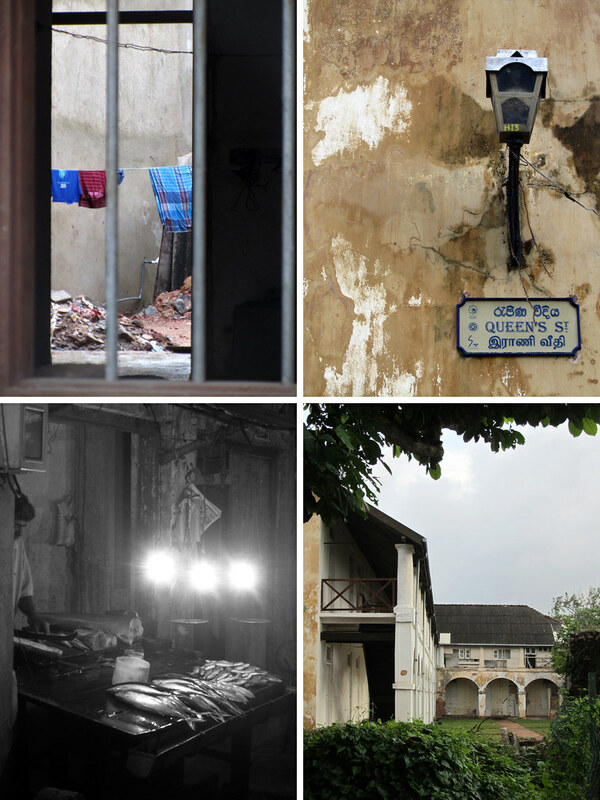 It was a little poignant when I reflected back to the large number of shops and galleries clearly aimed at tourists using their cleverly honed selling skills, and unlike many Sri Lankans cities, the area within the fort was too “sanitised” – old crumbling buildings notwithstanding. I found myself searching for Sinhalese traders with colourful products/produces and characters usually seen everywhere but to no avail on this Wednesday morning. Lovely pics! What camera did u use if you don’t mind me asking? Very informative blog. Thanks for sharing. Thanks! The photos were taken using Canon Powershot SX210is.